Meal Planning Tip #3: Show those pretty greens! Hey all! I hope Monday is finding you well and that you are not overly stressed with this week. I for one am super stressed; I have my stats exam tomorrow evening. You would think that since it was canceled last week because of our snow days that I would feel prepared and ready to conquer it. Of course this is not the case. Instead I feel overwhelmed and am kicking myself mentally for not taking more advantage of the extra time. With all that being said, I was hoping to share a beautiful Mediterranean wheat bagel sandwich today but that will have to wait until Wednesday (It’s super good so be sure to check back)! Instead, today I am going to share a quick meal planning tip that will hopefully brighten your kitchen and get your mouth to water for your veggies. 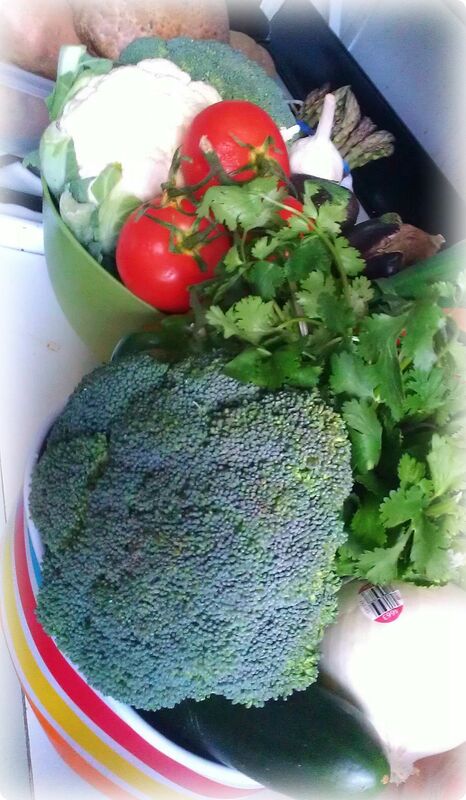 After you do you grocery shopping, be sure to wash/clean all your produce thoroughly. This will cut prep time down throughout the week. Instead of stuffing the veggies in the drawers of doom, get large bowls and place the veggies in those instead. Place the bowls in the fridge. This tip allows for you to see your produce every time you open the fridge and will be a constant reminder to eat your veggies! Once again, produce doesn’t have a long shelf life so the key is to eat it quickly. 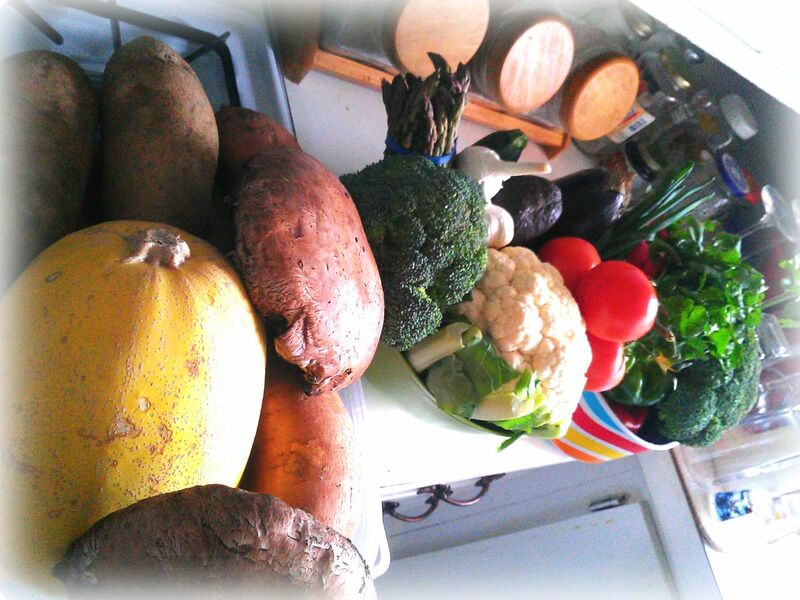 Eventually after seeing all those beautiful colors constantly, you will learn to love your veggies. Good luck with any challenges that you may face this week and happy Monday! I ALWAYS wash everything before packing it in the fridge. It’s so much easier to prepare meals during the week afterwards. And I wash all my fruit and place it in ziplocks. This way I know my boyfriend will grab it. :). 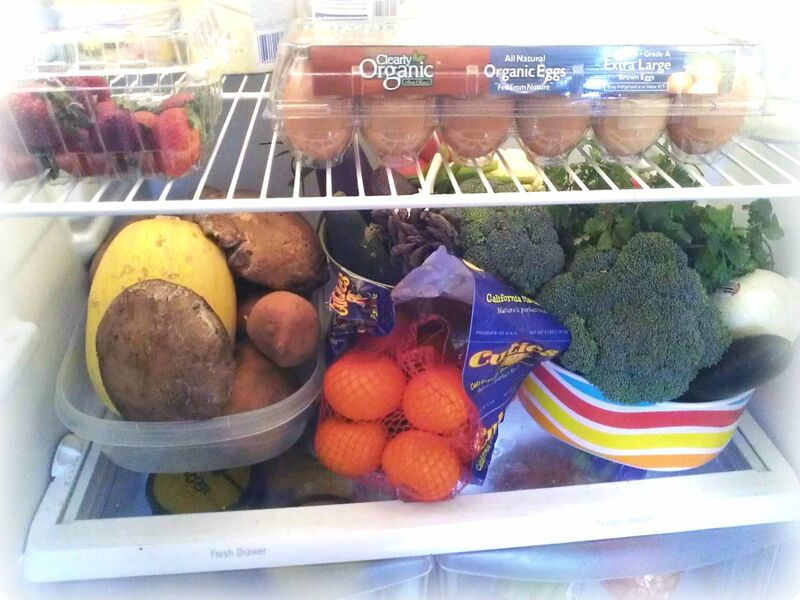 I love a fully stocked fridge- it’s the best feeling!